Replacing your current heating or cooling system, or installing a system in a new home in Fuquay-Varina? You and your family may want to go with the Ductless System option! This new technology is different from other HVAC systems currently on the market due to the fact that there is no need for a duct system to help keep your home cool or warm. 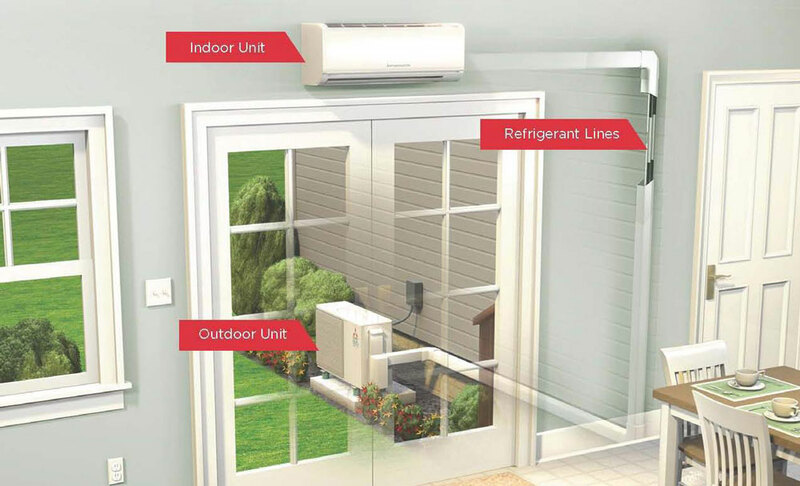 A “ductless mini-split system” has an indoor and outdoor unit that works to both heat and cool your home. Located in Fuquay-Varina, we are proud to serve Wake, Johnston, and Harnett Counties, in cities and towns including Fuquay-Varina, Clayton, Garner, Willow Spring, Holly Springs, Lillington, Angier, Apex, Cary and the surrounding areas. If you would like to learn more about Ductless Systems or work with us, please call or text us at 919.631.5132, send us an email, or fill out the contact form to the right, and we will be back in touch as soon as possible.